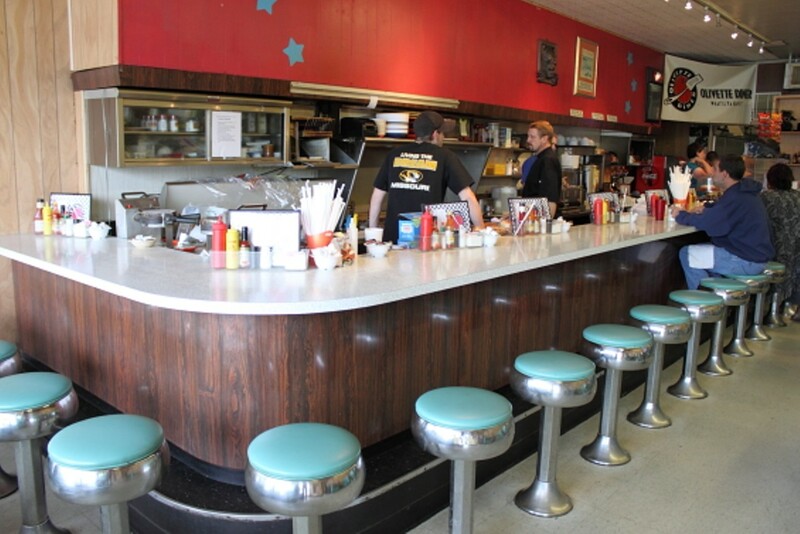 You can get your greasy spoon on at the Olivette, a strip-mall eatery serving just breakfast and lunch seven days a week. 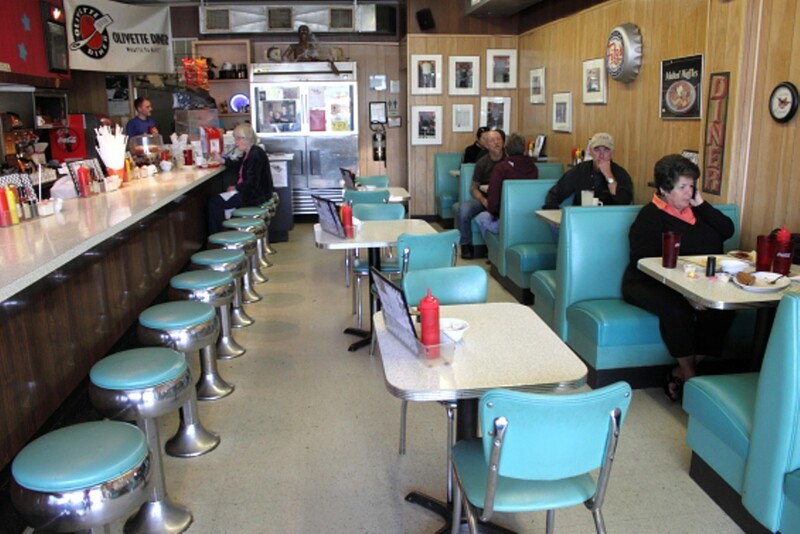 You can sit in a vinyl booth or at the Formica counter and enjoy a bottomless cup of hot, fresh coffee; eavesdrop on the regulars making chitchat with the waitresses; and order yourself a burger, eggs and bacon, or a slinger. But you can also look forward to plenty of unexpected menu choices, too -- like a bacon, feta and tomato sandwich or a breakfast burrito wrapped inside a spinach tortilla. Other strange (but super) signature items include the Amazing Banana Waffle and the Hot Hash & Holly: potatoes with grilled onions, green peppers and ham, topped with two eggs, melted Cheddar and hollandaise. 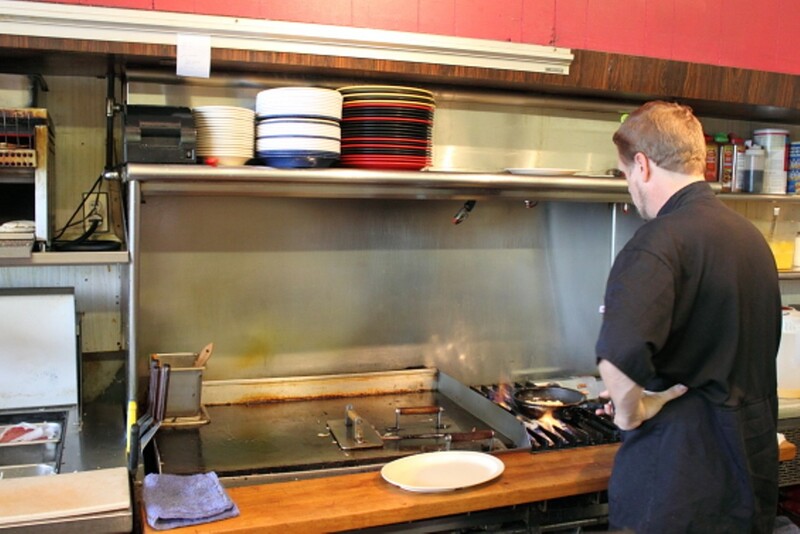 Cheap, good and just a little offbeat, the Olivette embodies everything great about diners. chopped romaine with lightly breaded strips of chicken, shredded cheddar cheese, tomato and red onion. jumbo all-beef dog, split and grilled, served on a toasted hoagie roll with your choice of toppings. chocolate syrup, milk and soda water in a glass. no ice in this one. poached eggs over thinly sliced lox and a toasted english muffin. topped with hollandaise and garnished with capers. served with crispy hashbrowns.